As San Francisco gears up to celebrate the golden anniversary of the Summer of Love—where, in 1967, an estimated 100,000 youths, sporting flowers in their hair and LSD on their brains, converged in the Haight-Ashbury sparking the hippie social movement—scores of city structures and buildings will pay tribute to that patchouli-laced era. One venue’s celebration promises to be especially noteworthy. 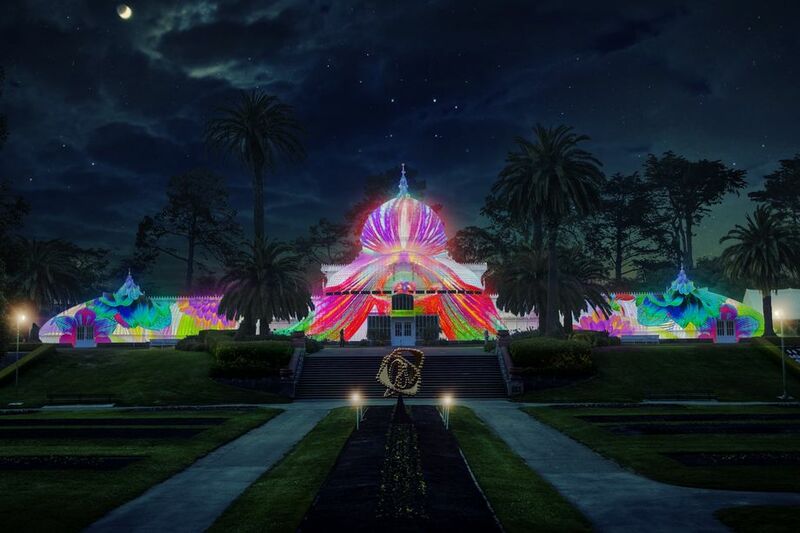 The landmark Conservatory of Flower building in Golden Gate Park will light up in a myriad of colors. Illuminate, the group behind the Bay Lights, and Obscura Digital, a creative studio focusing on light-based art, will transform the stark white landmark with a series of illuminated scenes, which according to the conservatory, are “inspired by the rare tropical flowers within and the legacy of San Francisco’s flower children.” Ben Davis, Director of Illuminate, said in a press release, “We are bringing that light back to where it all began in Golden Gate Park fifty years later with an electrifying, contemporary tribute.” Groovy. Light show can be seen nightly from sundown until midnight from June 21 through October 21. “SAN FRANCISCO (KGO) — Volunteers are helping visitors spot Blue Herons and their chicks in Golden Gate Park over the next few weeks. The nests at Stow Lake in Golden Gate Park have seen 179 herons over the years. They court, build their nests, mate, and lay eggs between January and March. By April some of the nests have chicks, and this year there are six nests. “Hold your horses, San Francisco: this news will likely stirrup some excitement. 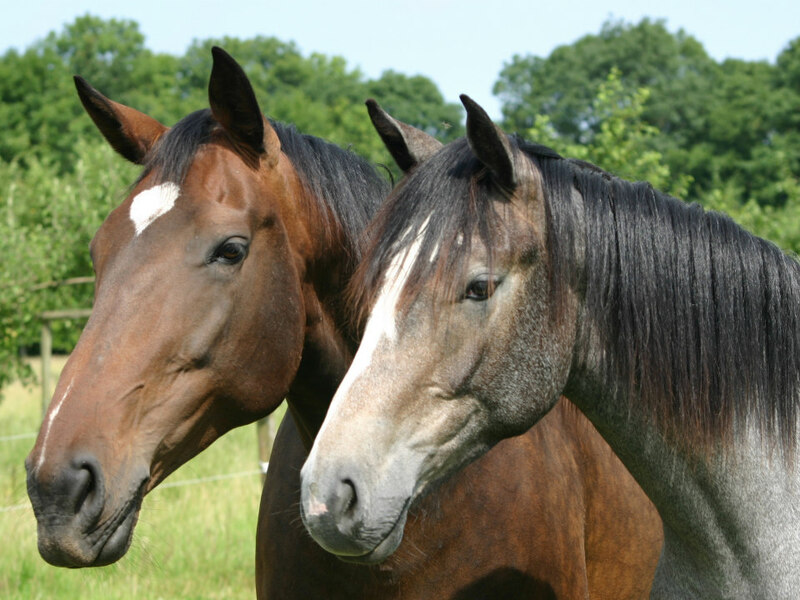 Beginning today, SF Rec and Park is offering horseback rides to the public in Golden Gate Park. 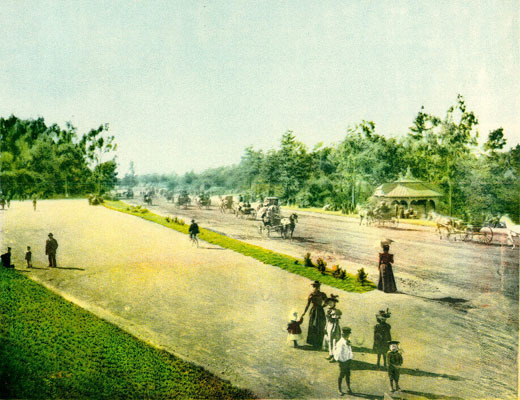 The department is exploring the feasibility of guided horse rides in two city parks, and is seeking to gauge public interest. 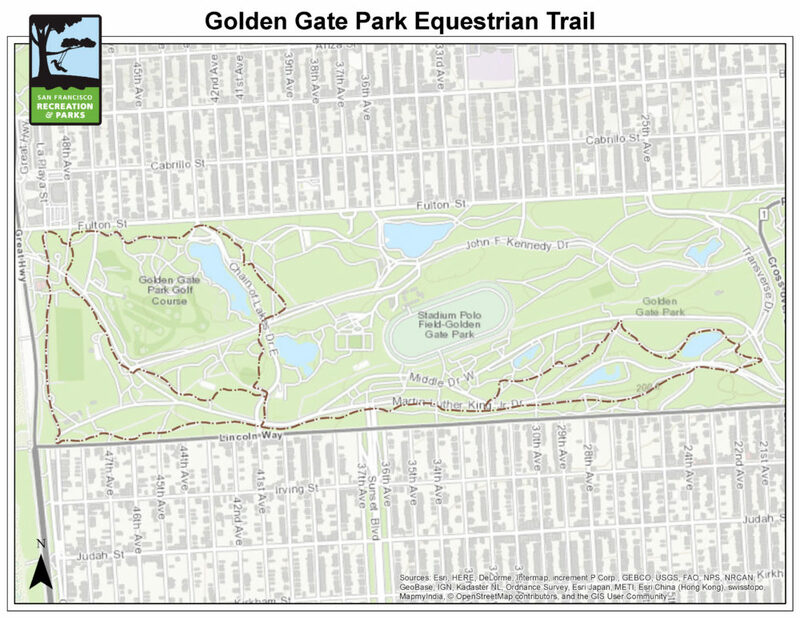 For two months, the same professional wranglers who provide horseback rides at Camp Mather will offer guided rides in Golden Gate Park and McLaren Park. At Golden Gate Park’s Bercut Equitation Field, 15 horses will be available for trail rides—and soon, 10 steeds will be ready at McLaren’s Police Horse Stables. Starting at $40 for 30 minutes, rides (which include human guides) will be offered seven days a week from 8am-7pm (weather permitting); equestrian enthusiasts should call ahead of time to check availability (1-844-967-4653). Rides will be offered in 30-, 60- and 90-minute increments, and there’s a 25 percent discount for San Francisco residents. Helmets are required (and provided), and no children under five years old will be permitted to ride, according to Rec and Park’s informational page about the pilot.